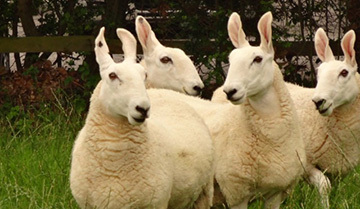 Border Leicester sheep, their uses, advantages and where to get them! 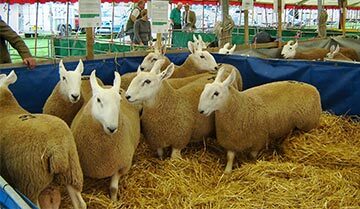 Read on through our site where you will find all sorts of interesting information regarding the history, description and uses of the Border Leicester sheep, their fleeces and their beautiful wool! 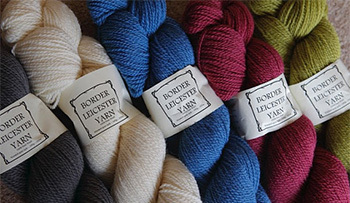 We also have details of the beautiful Border Leicester yarn produced by The Doulton Flock from North Yorkshire, showing what amazing fleece and wool the breed produces. They grow, process and sell this rare breed, slaughter free, Border Leicester pure British wool in 4ply, DK and Aran weight yarns in a spectrum of tempting shades. All Made in Yorkshire. I hope that this site will help you discover the true potential of the amazing, versatile Border Leicester! A wonderful sheep with over 200 years of history! On our site you will read all sorts of interesting information - how the breed came to be - what a Border Leicester should look like - what the Border Leicester can do for other breeds. In 2015 the first pure Border Leicester yarn was processed from the Doulton Flock. All the fleeces were hand picked for this Limited Edition Yarn from the flock which is slaughter-free. In this section we let you know where and when you can go to buy the Border Leicester. There also many adverts offering private sales of beautiful Border Leicester shearling ewes and rams. The picture above shows shearling rams at Kelso Ram Sales.